COMFORT & DEXTERITY - Beautiful, ergonomic design fits snugly to your hands allowing for extra finger sensitivity. SUPERIOR QUALITY - Premium leather for durability, resiliance, grip and abrasion resistance. Nylon back for breathability and comfort. PROTECTION - Avoid skin wounds and dirty hands. Dont let thorns, stinging nettles or other garden dangers get in your way of completing the task at hand. VERSATILE - Handy for a variety of tasks around the home and in your Garden. Velcro cuffs for ease of use. 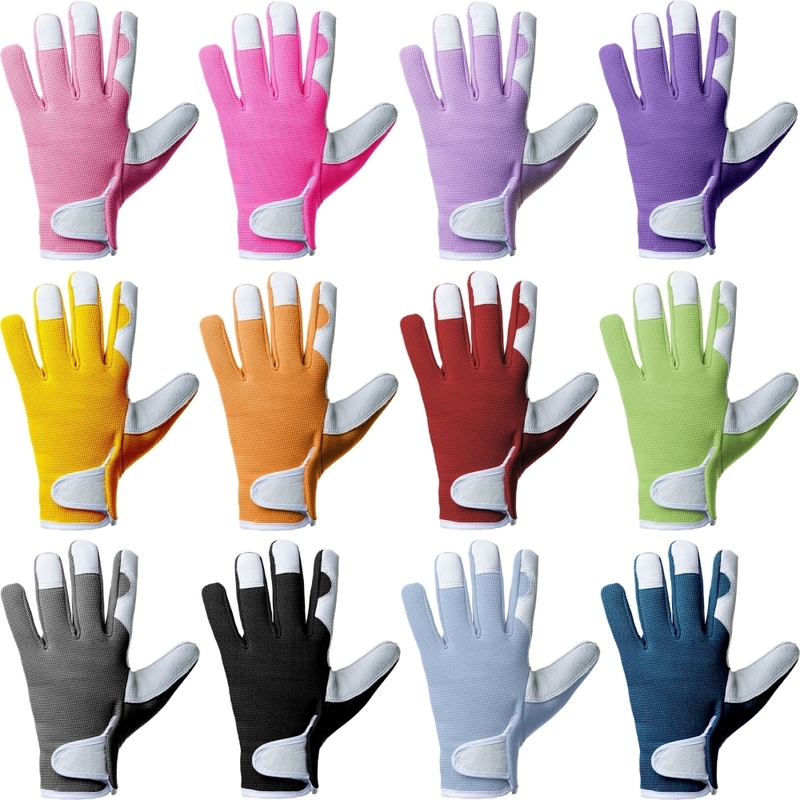 EXCLUSIVE COLOURS - GardenersDream Gardening gloves are available in many unique colours appealing to both men and women. GardenersDream® Gardening gloves have been designed to incorporate fashion, comfort and quality. The stylish design fits fantastically snug to your hands, allowing for extra finger sensitivty. Premium leather for durability, resiliance, grip and abrasion resistance. Nylon back for breathability and comfort. Handy for a variety of tasks around the home and in your garden. Velcro cuffs for ease of use and available in many unique colours appealing to both men and women. The durable nylon material used for the back of the glove provides exceptional comfort and tight fit providing many years of happy gardening and all types of house work. The GardenersDream gardening gloves are guaranteed tear and puncture proof. The uses for these gloves are endless, Weeding, raking, shoveling, planting, cleaning, potting and fixing to name a few. An ideal stocking filler gift for any type of gardener, from a veteran green thumb to a beginner. 50% stronger thread used to withstand the toughest use. 40% more breathability effiecency than the closest rival.